Trevor suffered from malnutrition and was admitted to an orphanage at the age of 10. He missed a great deal of schooling because of illness. "The strength is in the struggle and dignity comes from achievement." 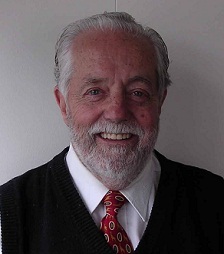 Trevor was a former executive administrator for the United States Government Antarctic Programme before he left the role to set up Life Education in New Zealand. He has been awarded the UNESCO Peace Builder Award, Wellingtonian of the Year, Companion of the New Zealand Order of Merit, and a Rotary Club Paul Harris Fellowship. In 1997, Trevor pooled his knowledge into a book he co-authored, The Great Brain Robbery, a best selling book about the negative impacts of drug use. Today Trevor is retired and lives with his wife in rural Te Horo, New Zealand. Trevor was approached by a group who had heard about Ted and Margaret Noffs' work developing and starting the Life Education concept in Australia. Trevor went to Australia to meet with Ted, only to find that he was in hospital having suffered a stroke a few days before. However, Margaret met Trevor at Ted's famous Wayside Chapel (in Kings Cross, Sydney, a renowned drop-in center for addicts looking for help) and left Trevor in Ted's office to read through Ted's writings. As Trevor read, he fell in love with the idea of Life Education. He loved the innovation of the programme, of capturing children's imagination using technology and building their self-esteem at a young age. Every addict Trevor helped brought home to him the need "that there is no such thing as a nothing". Most youngsters in trouble had fused into their brain the belief that they were worth nothing. Low self-esteem, caused by all the ravages of addiction, prostitution, destitution and corruption, had most times seeded in early life. Trevor spent time with Margaret Noffs, and watched the Australian teachers in mobile classrooms and fixed centers teaching the Life Education programme, and came back to New Zealand with Margaret's blessing to start Life Education in New Zealand. Life Education Trust New Zealand was formed and the first two mobile classrooms were imported from Australia to begin teaching in Auckland and Christchurch. Four newly appointed school teachers traveled to Australia and received 3 months training on how to deliver the Life Education programme. New Zealand's Prime Minister, the Hon. 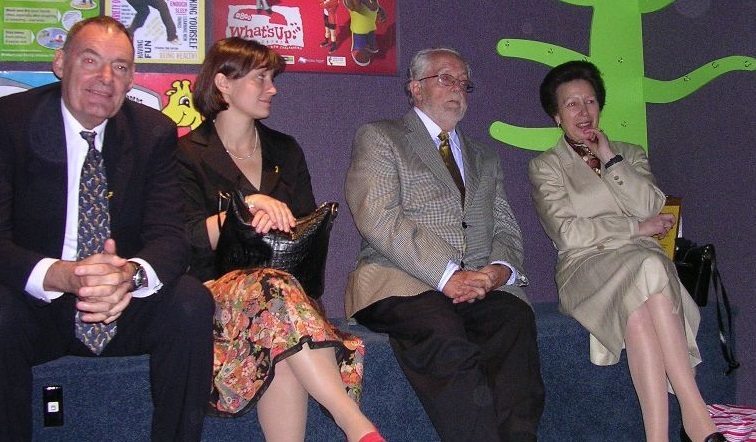 David Lange, endorsed Life Education and encouraged New Zealanders to support the programme. The Ministry of Education created the first links document for Life Education, that showed where our programme linked in to the school curriculum. The first mobile classroom built in New Zealand was completed and began teaching in Wellington. The Sir Howard Morrison Television NZ Ride for Life Education took place in September, a 45 day trek of New Zealand by horse ending with a parade in Queen Street, Auckland. The ride raised $1.2 million dollars for Life Education funded the expansion to 11 classrooms across the country. Princess Anne officially opened the The Trust Bank Canterbury Life Education Centre, a static classroom in Christchurch. Brierleys became a national sponsor. A national office was set up in Wellington to help provide support and resources to the regional offices and community teams. Harold had a weekly spot on 'After 2' with Jason Gunn. Trevor Grice, National Director, reports Life Education is one third of the way to teaching all the primary and intermediate aged children in New Zealand. Christopher Lissaman of Linwood Avenue School is congratulated by John Illsley of Dire Straits on being the 150,000th child to participate in the Life Education programme in Christchurch. The Pepsi 24hour Relay for Life Education took place at Mt Smart Stadium. 150 teams of 20 people ran relay style around a 3.8km course for 24 hours. Suzie Aitken, Jude Dobson, David Tua, Michael Jones and Vai-aga Tuigamala supported the event. David Harrison is now CEO and says in his March report that Life Education expects to reach 175,000 students and 25,000 parents this year. Prime Minister Jim Boldger and national Chairman Boyd Klap visit Johnsonville West School. Mr Bolger said "It's tremendous the interest of the children. They are totally involved in the message which is presented very clearly and very simply." The first Annual Report was produced for Life Education. 189,339 children were taught this year and the 25th Community Trust came into operation. David Wale (current Patron) was appointed Chairman of Life Education. Take home workbooks were launched, sponsored by Westpac Trust. Introduction of DVDs into the mobile classroom technology - all VHS material converted. Harold cut and released a CD of songs for children and schools. A new programme 'From the Shadows' is introduced and students receive three sessions in the mobile classroom instead of two. A new Trust was formed in Nelson/Tasman area. Frucor signs on as a national sponsor to support healthy nutrition. Life Education's 2G mobile classroom upgrade begins introducing projectors and increasing the size of the classroom to deal with larger classes. The continuation of the refurbishment of mobile classrooms has seen five new and four refurbished mobiles completed. New community Trusts became operational in Marlborough, West Coast and Pegasus (Christchurch). A new learning module entitled 'Quest' was been designed and trialled for Year 5 and 6 students. Quest has a medieval theme and develops the children’s definition of a drug with a learning focus on nicotine, alcohol and medicine. A pre-school module 'Caring for the Body' was developed. Mainfreight signs on as a national sponsor and supports Life Education to move forward. Celebrated twenty years of year on year growth. and performance was overwhelmingly positive and detailed how our educators, in delivering the Life Education programmes, were making a tangible and positive difference to the learning and behaviour of children. The community trust established in Rodney in 2007 became operational. Trevor Grice, David Wale and Peter Cox hosted Princess Anne in a visit to a mobile classroom in Christchurch. The Princess Royal commented that our programme is more health-based compared to the drug education-based Life Education programmes overseas. Secured the support of The National Bank. 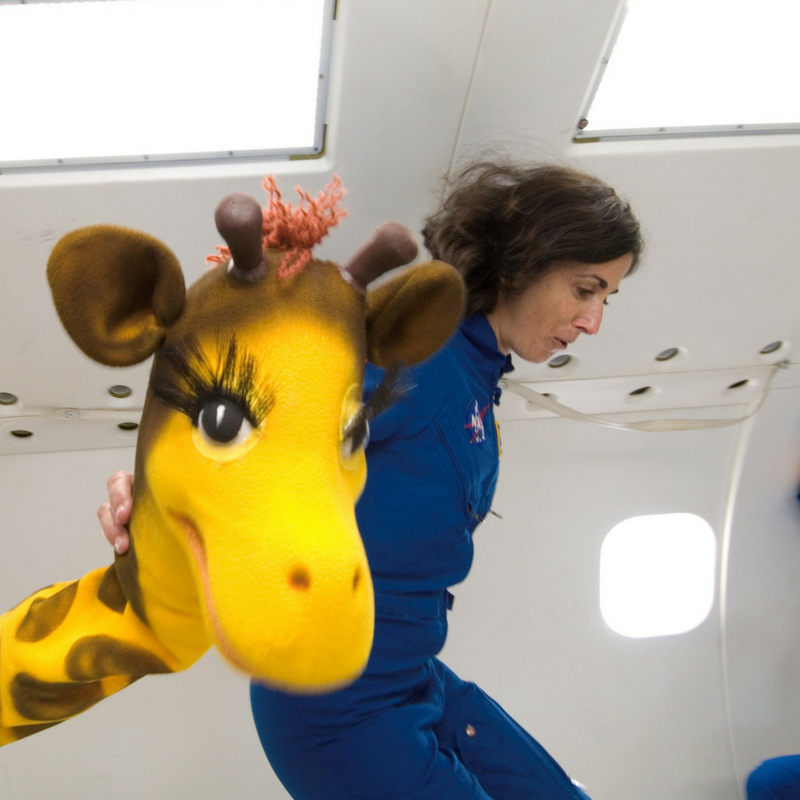 Harold travels to the International Space Station with astronaut Nicole Stott. An additional mobile came into operation through our new Manukau Trust, helping us to reach 6,000 children. Launch of our volunteer recognition of service programme. Each of the 19 workbooks were reviewed and redesigned. A new partnership with Macleans as our Official Oral Healthcare Partner. Added two mobile classrooms bringing the total to 44 nationwide. Developed our research framework so we can report on outcomes and the impact we make. Life Education has its biggest year to date teaching health to 252,086 children from 1462 schools. Completed the build of the ‘Lesson Lab’ as our school planning tool. The Lesson Lab creates individual lessons for each classes needs as a shared planning tool with teachers, while becoming the repository for our programme content. It has enabled us to create the new programme structure, introducing the most significant change to our programme in the last 12 years. Began the roll out of the updated 3G mobile operating system. This software includes an interactive anatomical body - linked with Microsoft Kinect technology a child can move the anatomical body as a mirror of their own body. Our online interactive planning tool was launched. This enables us to undertake shared planning and respond to each school community and the individual needs of children. We grew the number of children taught by Life Education in a single year to a record level of 258,761 children from 1527 schools. With support from The Warehouse Group Life Education and Garden to Table formed a partnership to create Empower, a comprehensive and sustainable programme to help tackle the biggest epidemic to threaten NZ children this century – obesity. Life Education and Dove joined together to support teachers in delivering ‘Confident Me’ workshops on body image and self-esteem.